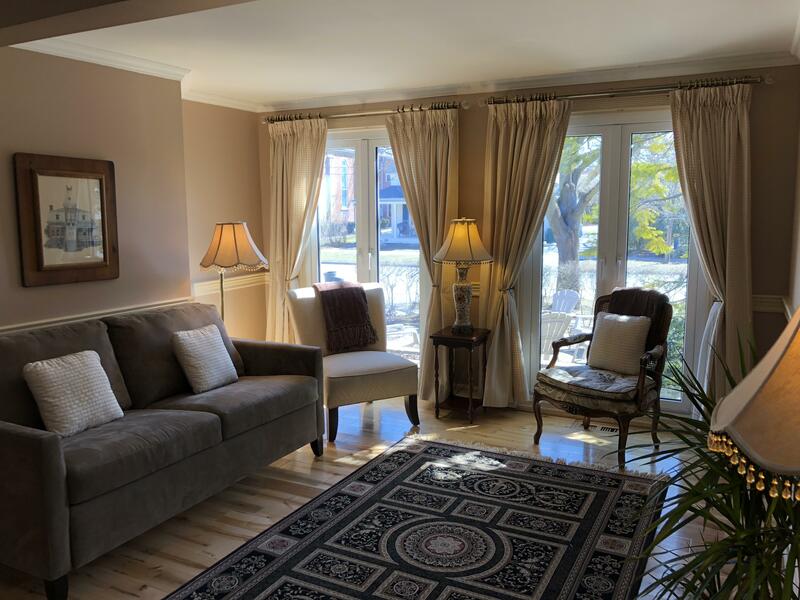 Victoria House | Toronto Short Term Rental Property Management Corp. This property has 1 Queen(s), 1 Queen(s), 1 Full(s), 1 Pull Out Sofa(s), 1 Pull Out Sofa(s). 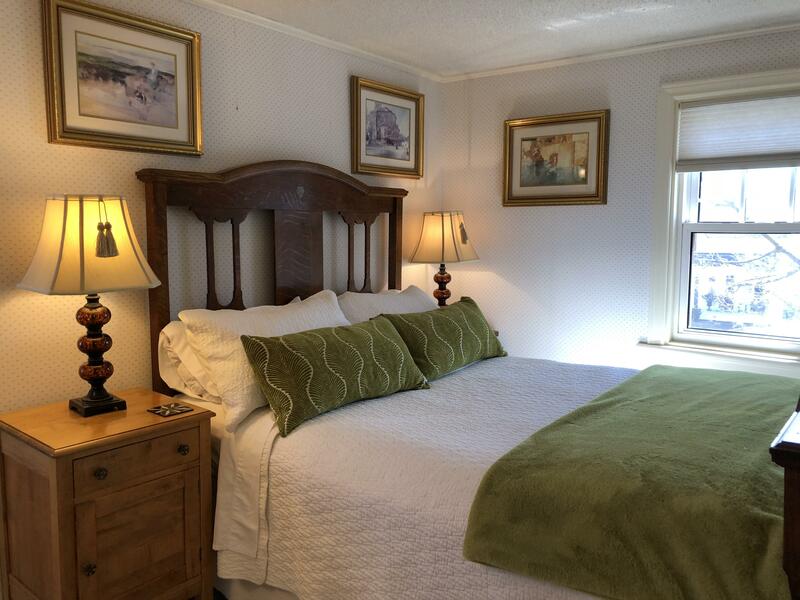 Superb location, nicely appointed and comfortable. Great house for the 8 of us that were here! Close to downtown was such a bonus! Beautiful home and yard - so comfortable, clean and had all the necessities! We'll definitely recommend to friends! 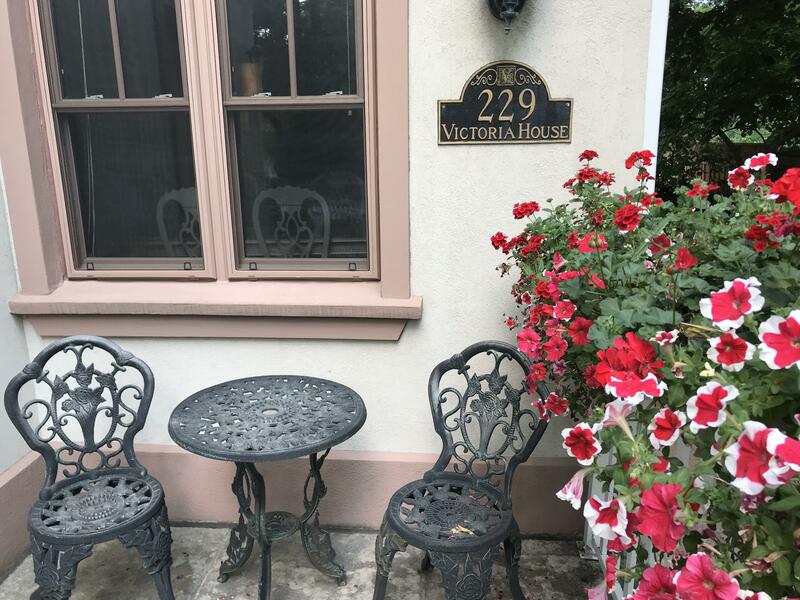 We had three couples from across Canada come to stay here and agree very much with the preceding entry for how well equipped and accommodating the Victoria house was. 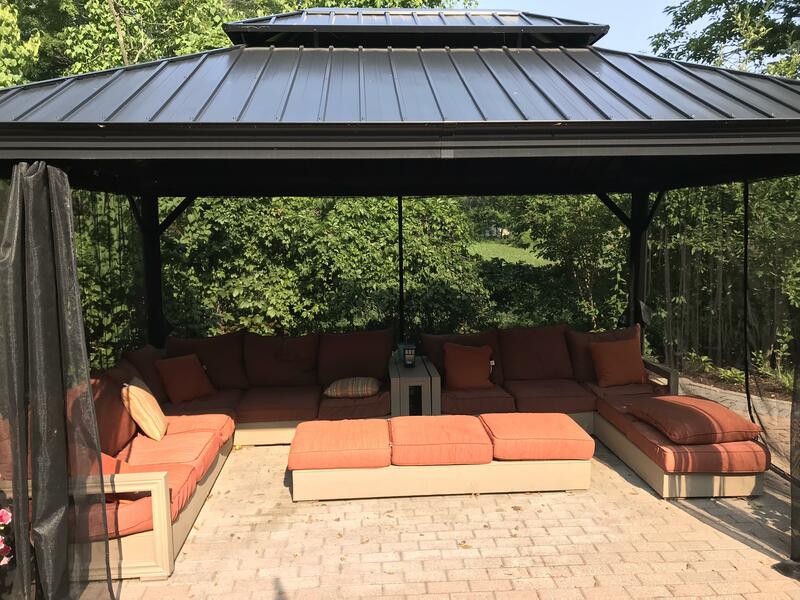 Dining and sitting outside, or in, was very comfortable and there was often shaded spots to avoid the extreme temperatures while still enjoying the beautiful property. Thank you so much for all the hospitality. Super weekend with friends! 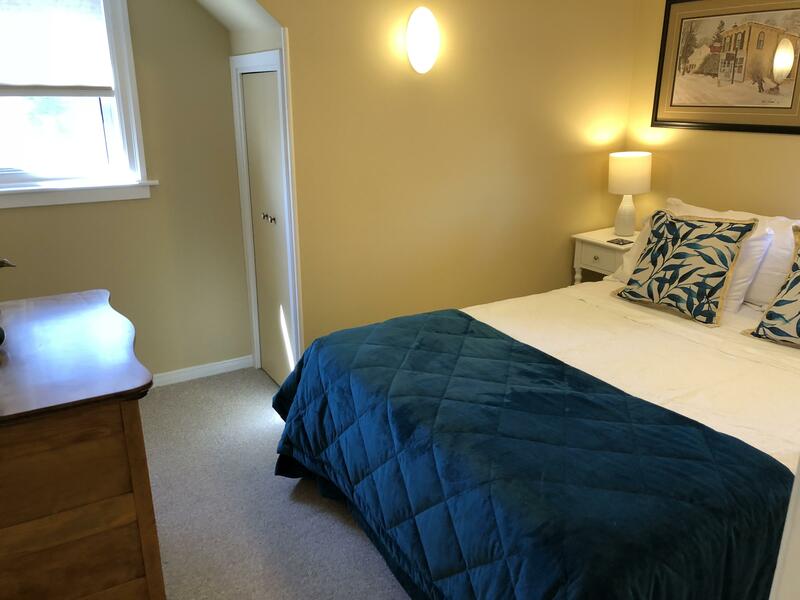 Absolutely within walking distance to main street. House clean and cozy. Mark and crew do a superb job! We'll be back, thanks again! Review #22351856 Amazing patio area, walking distance to everything! Beautiful house. 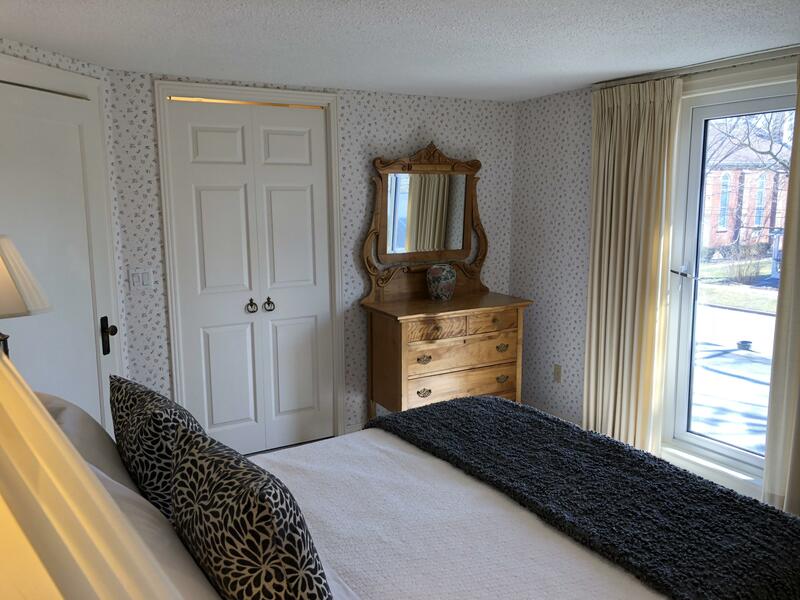 Downstairs is spacious and upstairs has a cottagey feel. Back patio felt private and had lots of seating for our large group. 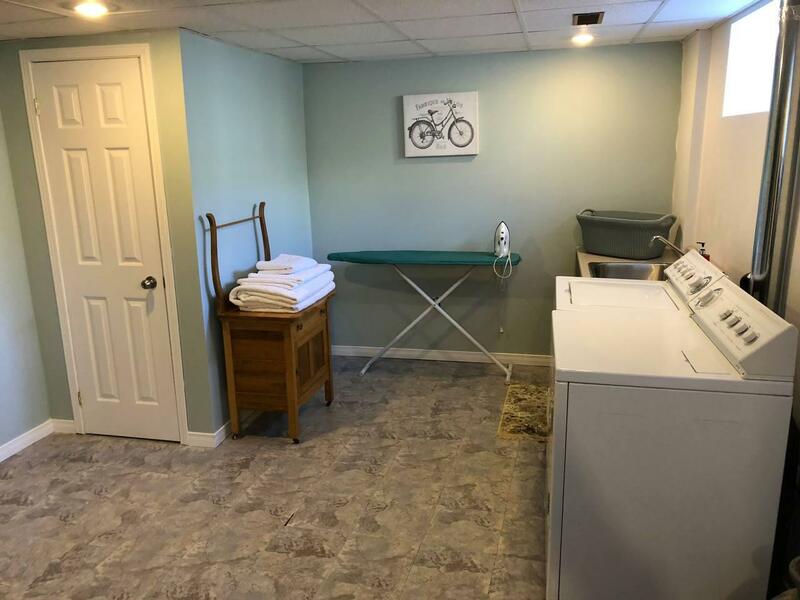 Very clean and well-maintained property. 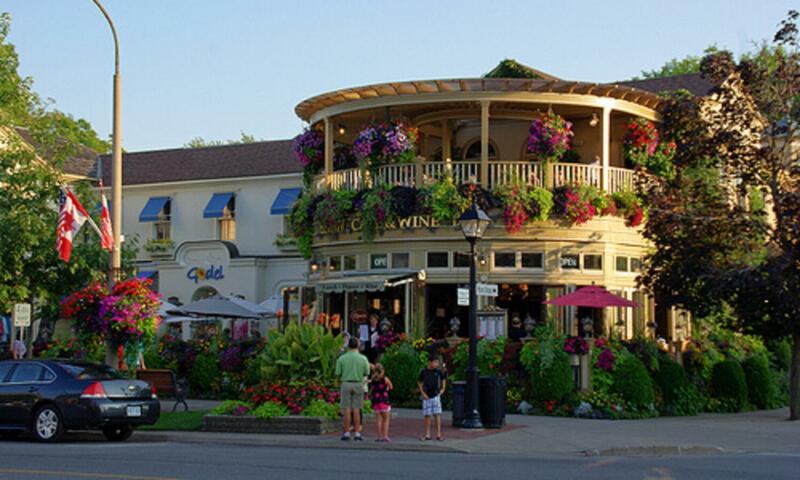 We recently enjoyed a wonderful weekend in the heart of Niagara-on-the-Lake at Mark's place. The location simply could not be better. We had plenty of space and enjoyed both home-cooked meals as well as the local restaurants. 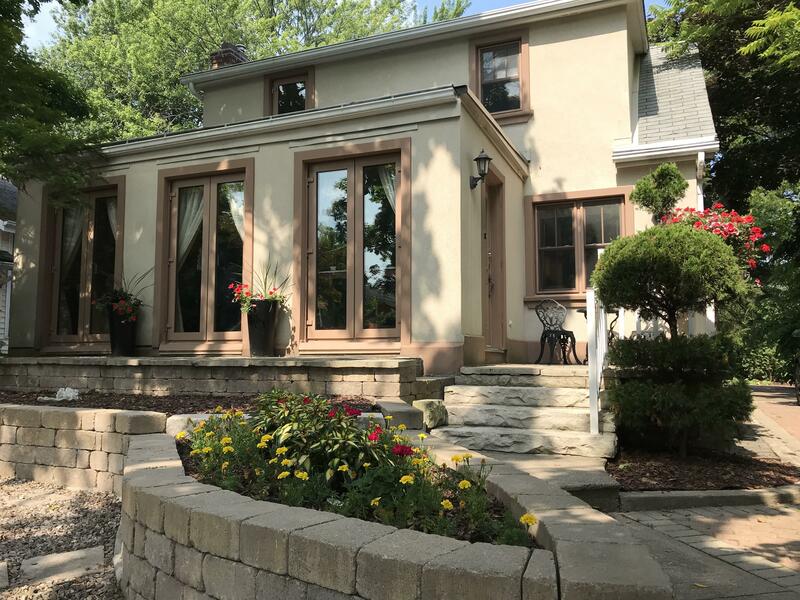 My only complaint is that the weather wasn't a little warmer so we could have spend more time in the gorgeous back-yard space! 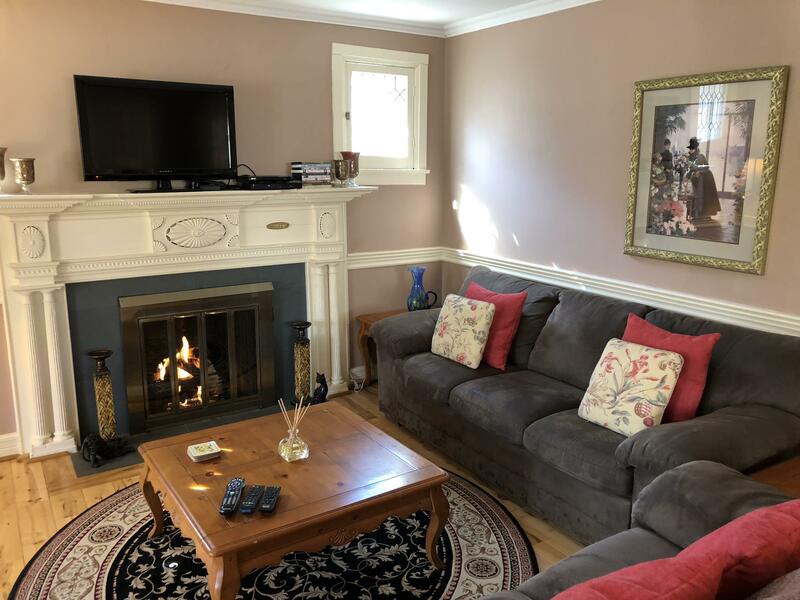 “Fantastic and clean house that is walking distance to everything you need.” Amazing weekend Mark, thanks for taking care of us! 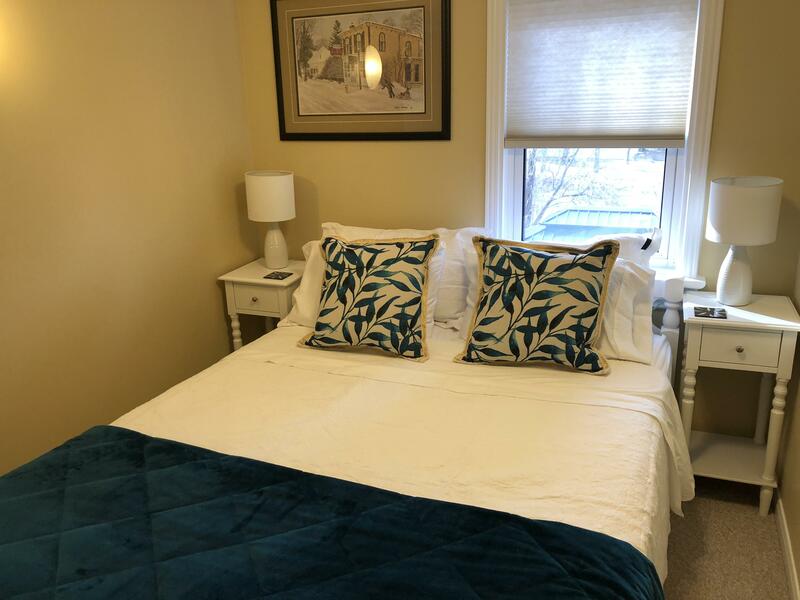 Perfect location and house for a family stay even during winter time, close to all of the attractions in town, with warm welcome check-in and detailed guidance, everything is ready for living in. Great home, great location! Mark was responsive and very helpful. I have stayed at many airbnb homes and rooms and this ranks right up near the top. Check in went well and Mark spent a good amount of time to walk us around this beautiful home. 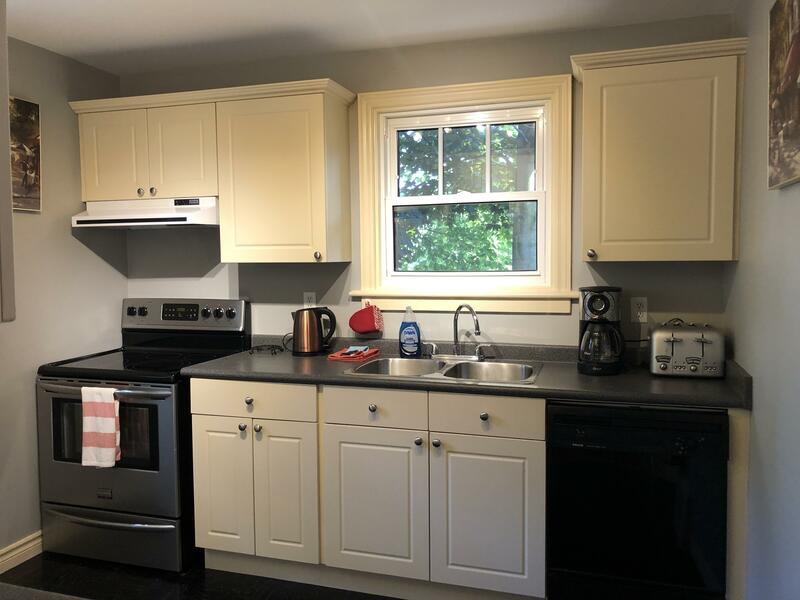 Great kitchen and grille, beautiful back patio and nice front area to congregate, The interior was immaculate and had all the amenities of your own home. You could not get a better location. We will definitely be back to stay here and would recommend it to al airbnb'ers. 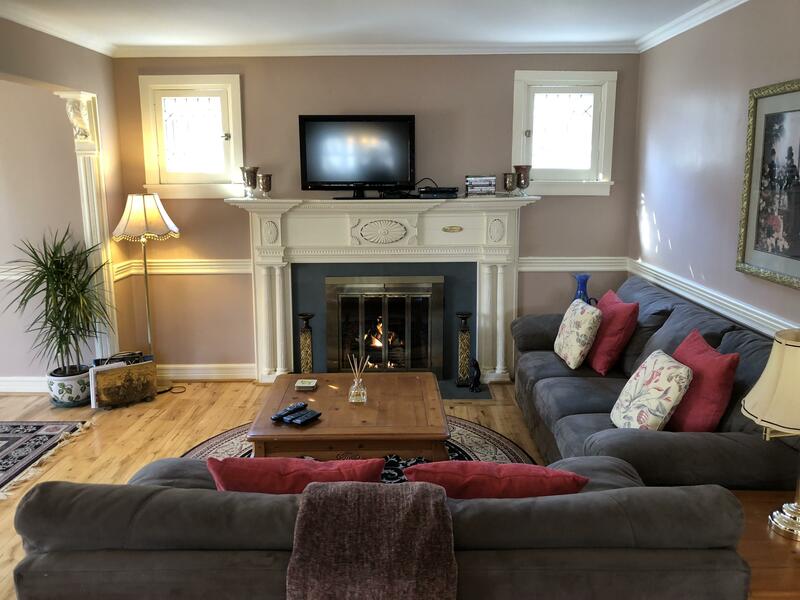 Review #19514415 Great house and location! House was very clean and was exactly as described. Just a half a block away from from the Main Street that has tons of shops and restaurants and very close to the vineyards. We would definitely stay here again! Perfect location to enjoy all that NOTL has to offer. The home is beautiful, well appointed and equipped. We made use of outdoor living space with perfect weather during our stay. 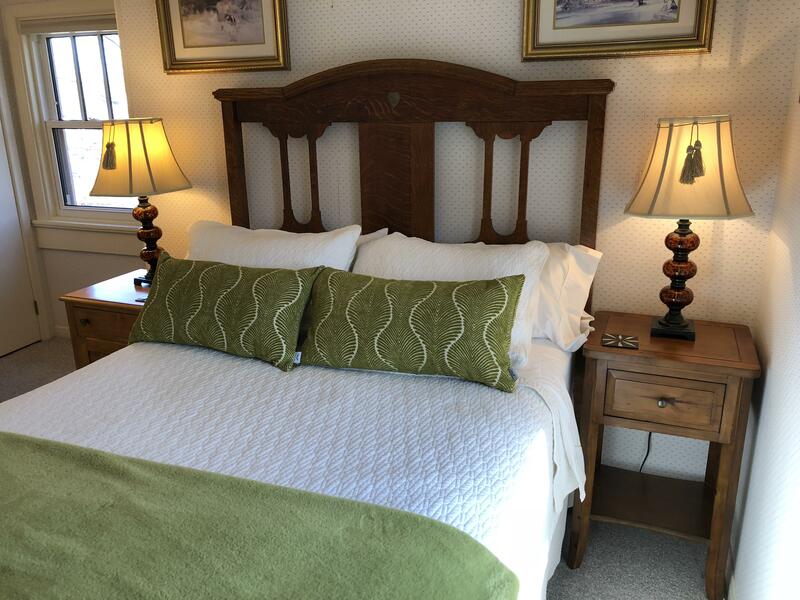 Mark met with us upon arrival and was very helpful and welcoming. 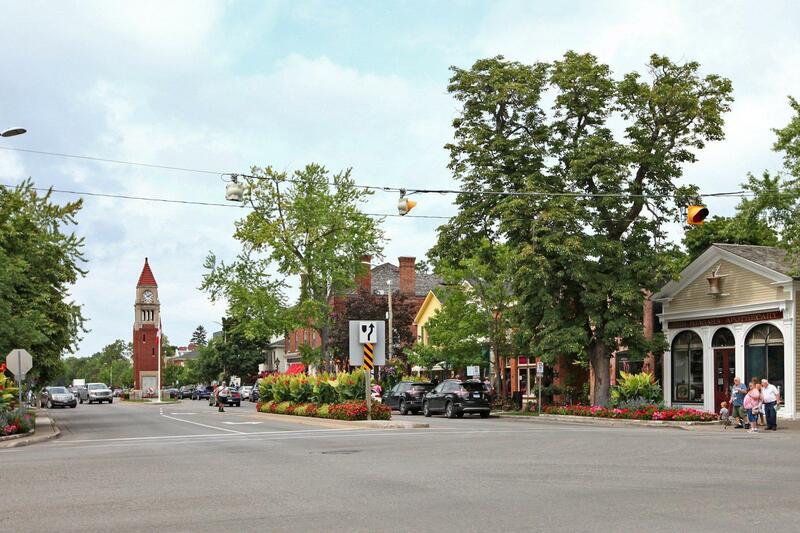 Just a few houses away from the heart of Niagara on the Lake, Queen Street, you couldn't ask for more! The front and back yard had plenty of seating. House was perfect for 6 people! 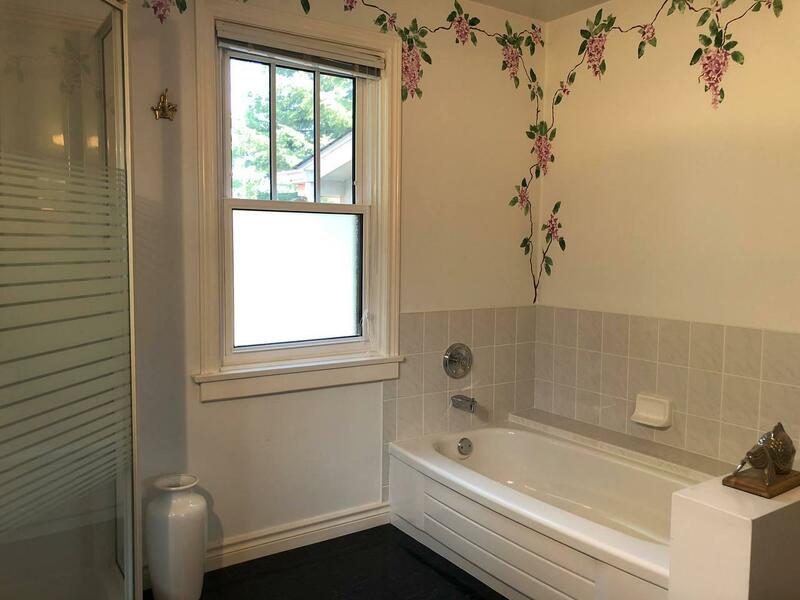 If I had to improve anything, the landscaping could be a little nicer and the upstairs bathroom could have had an exhaust fan. Overall, I would highly recommend this house!! 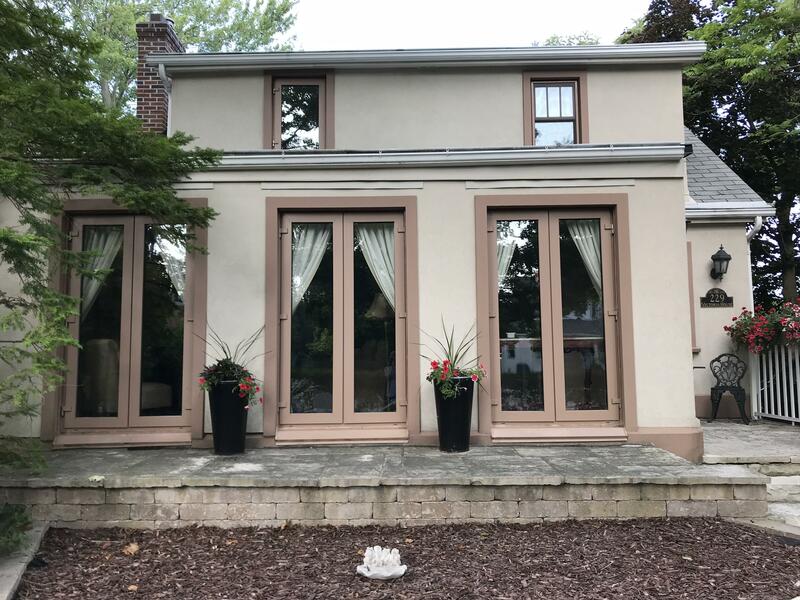 We had stayed in this house under different ownership and we noticed the difference immediately. 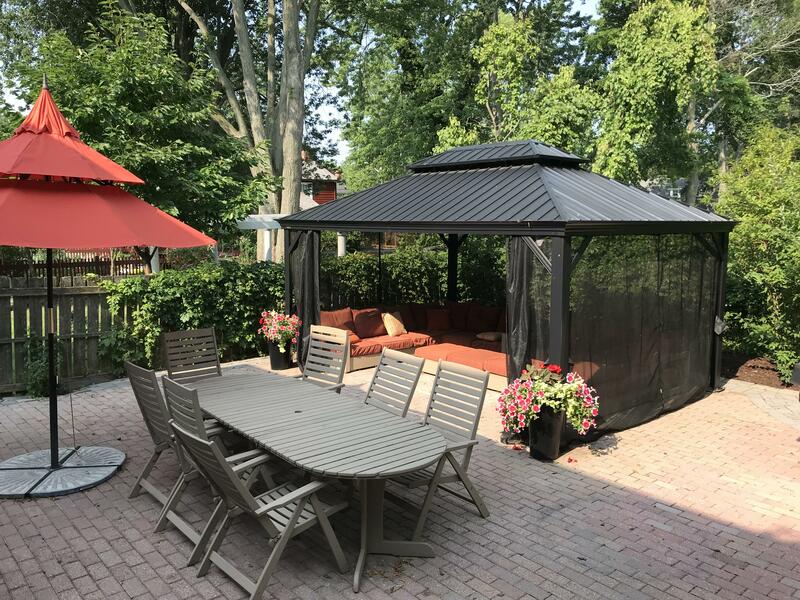 It was refreshed with new floors, beds and bedding inside and a much improved backyard including an incredible gazebo that we lived in during our stay. This house is steps to NOTL's main street but so quiet and peaceful. 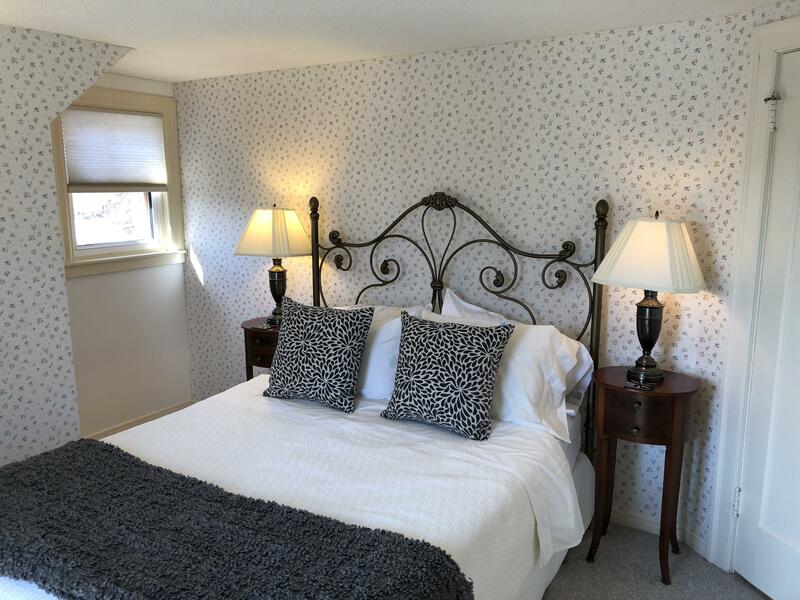 Highly recommend this property and working with Mark D at NOTL vacation rentals! Great location in a beautiful neighborhood. House was spacious and clean. Would stay here again. I couldn't possibly have asked for more!!! Victoria House was everything promised and more. 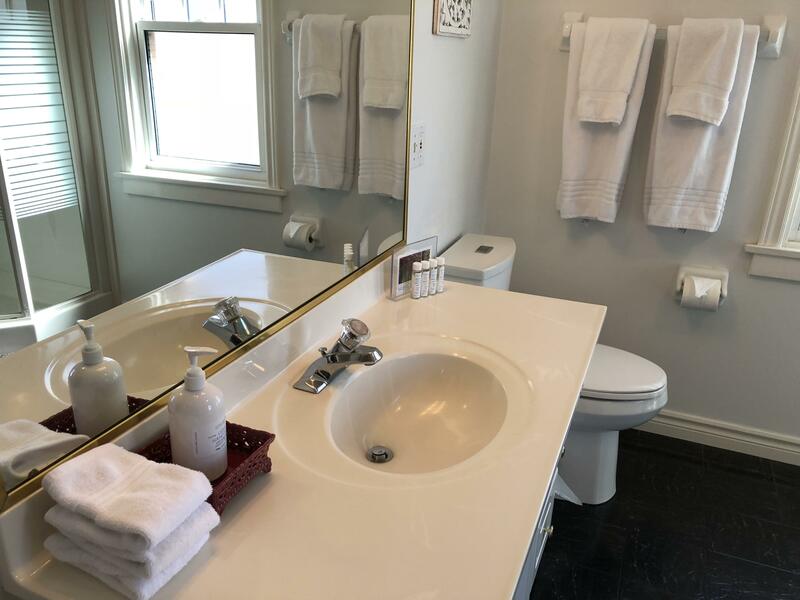 We had spacious rooms for the 5 of us to enjoy TV, eat and cook as well as two large beautiful full baths - You walk out the front door and cross the street and you are on Queen Street amidst the shopping and tourists. And at night, the area settles into a quiet atmosphere with no issues. A small sweet grocery store is 100 feet away and every house is just as pretty as the next. It is a pleasure to walk everywhere as you are greeted with incredible flowers and landscaping at every turn. And what gift to have a long driveway. Parking would be awful but not to worry here. 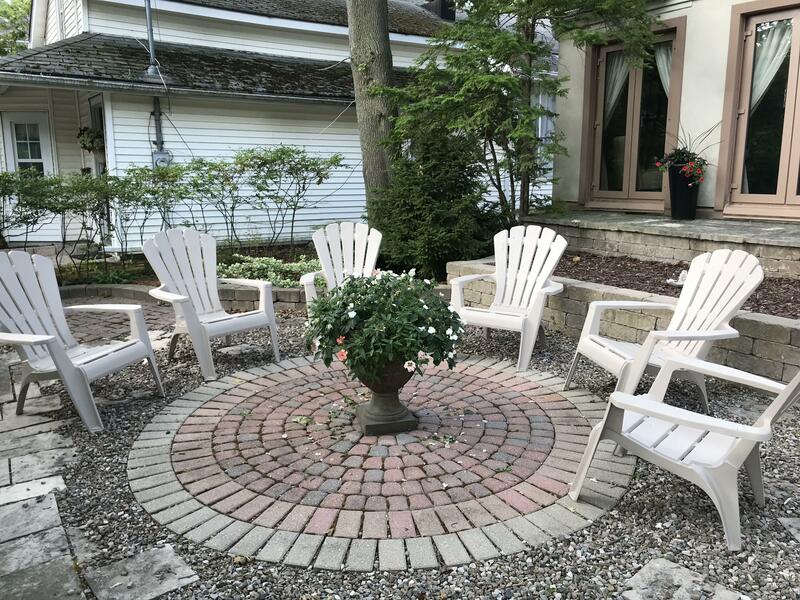 The back yard is lovely as you can have a picnic on the spacious patio and there is a large glass table with 6 chairs. I felt as though I was home - only a prettier home! This house offers space for everything. Very homey. When we visit again, this will be the house! Happy Travels. 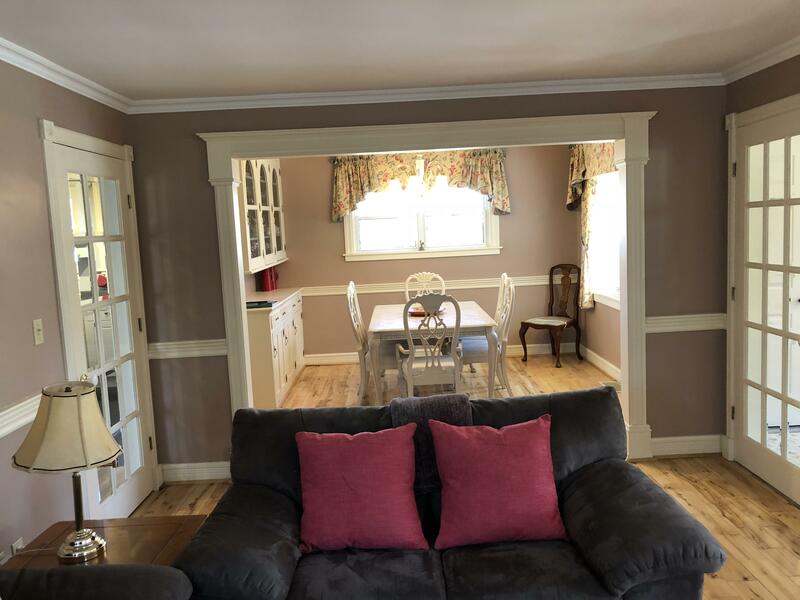 We have stayed at this house in the past and loved it even before the more recent renovations and now it is even better. 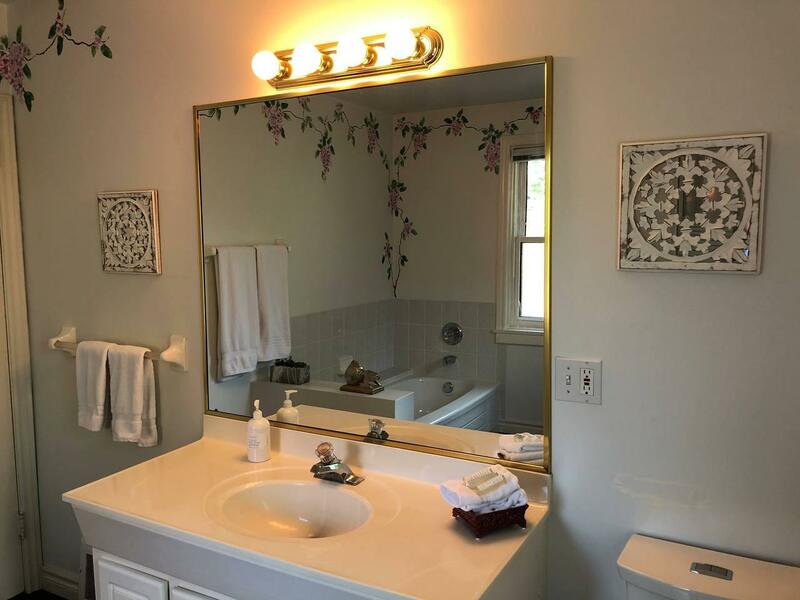 The location is great and the 2 baths and 3 bedrooms plus the open living area is well suited for a gathering of 4 or 6 guests. We hope to return soon! Everything about the accommodation was as described. Best of locations -quiet but around the corner from Shaw sites and shops. Super clean and well laid out for 6. Sue was prompt and very helpful. Thank you again! 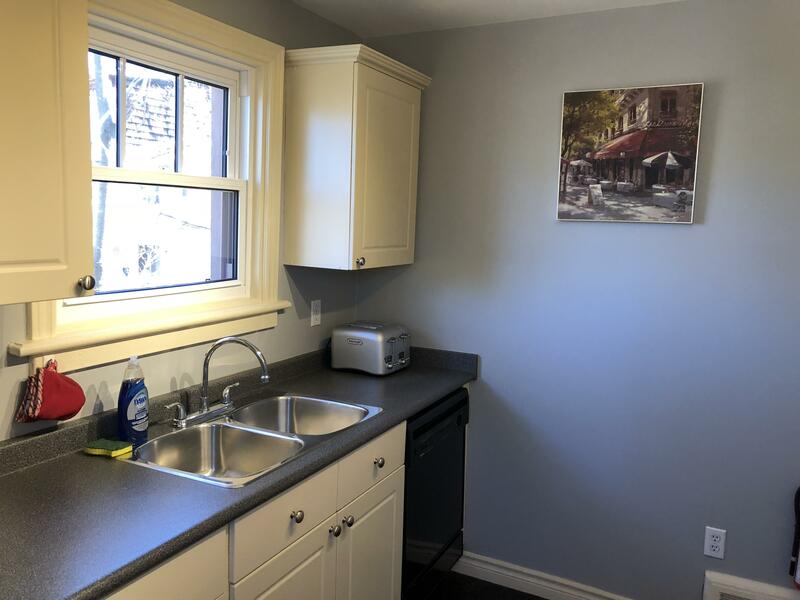 We had a great stay in this perfectly located home, less than a block from NOTL's picturesque main street, and within walking distance of a grocery store, LCBO, bars, and restaurants. The place was great, and Sue was a delight to work with. 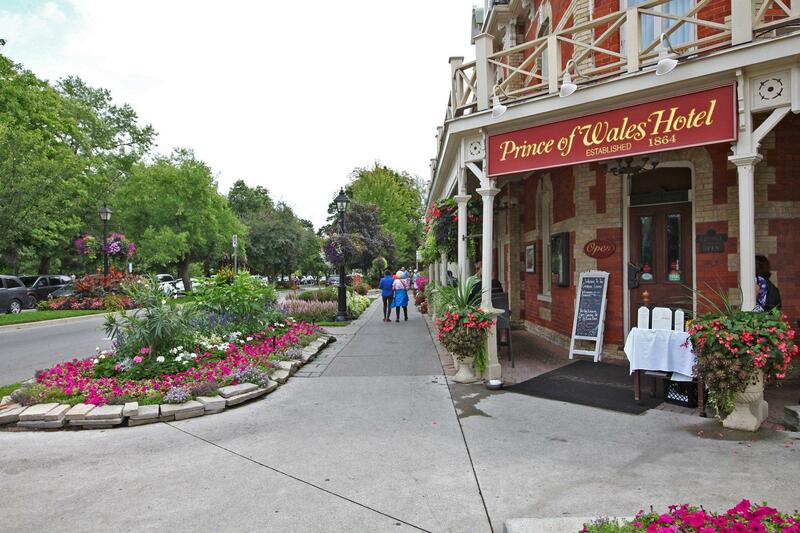 The is a wonderful place to stay in NOTL. It is three houses from Queen Street and yet it is in a very quiet neighborhood. Anytime we needed groceries, we walked around the corner. We spent a day bike riding through the wine country and sampling along the way. The home is beautiful. It is tastefully decorated, comfortable, and the kitchen is superb. Sue was a delight to deal with. We would return here without hesitation.